We were able to kick off our summer together recently! 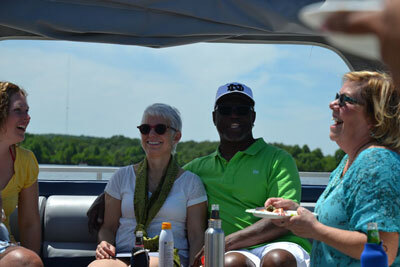 It was an amazing day filled with great people, food, a pontoon boat, and of course some fun in the sun. 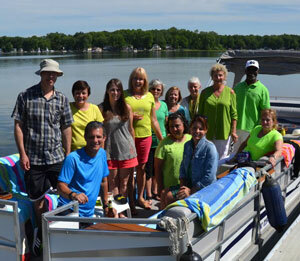 We started the day with a visit to a WriteSteps school in Saginaw and ended the day out on the water. 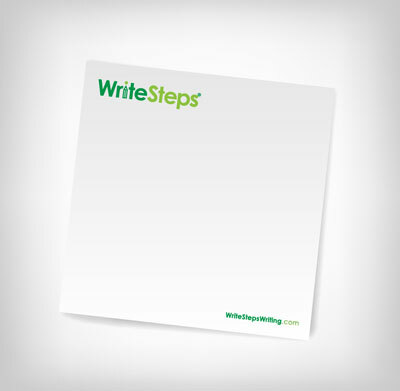 It reminded us why we are doing what we do at WriteSteps: creating stronger writers. Since we are not a large publisher, we really love it when teachers and principals help us spread the word about what we are doing at WriteSteps. Through word of mouth, we are proud to say we have teachers all over that are part of the WriteSteps family. 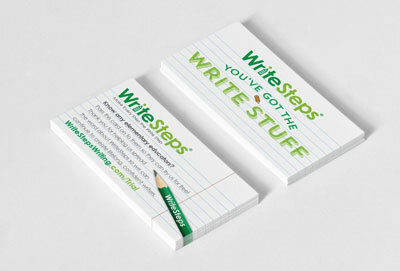 If you love WriteSteps, would you like to have any of the items below to help us spread the word? 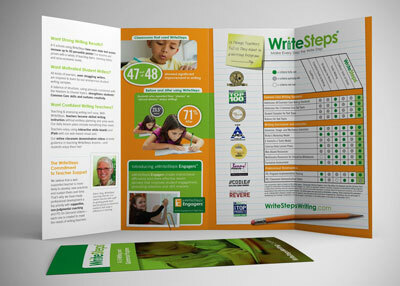 You can take these to conferences, district and county-wide in-services, and share them with anyone you think should know about WriteSteps. Email [email protected] if you would like any of the tools above to help spread the word. Tell her which items you would like from the list, the quantity you need, and your address. We will then send you the material! Have any suggestions of what else we can equip you with? Let us know. See below for more photos from our party. 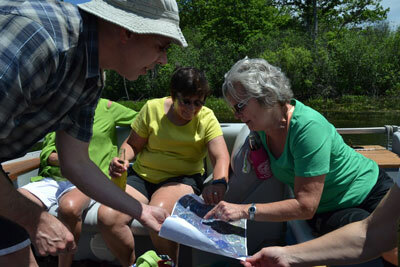 Bob Wagner, Production Coordinator, showing Cheryl Daniel, Office Manager, and Jan Polavin, Awareness Ambassador, the route we are headed on. 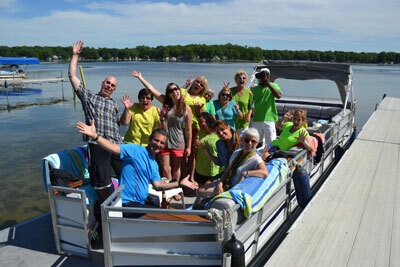 The WriteSteps team wishes all of you an incredible summer! What happens at camp, stays at camp. 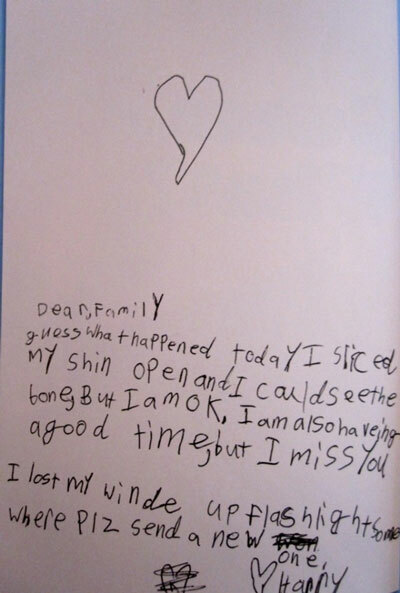 Do you have a funny student writing piece you can send us? If so, send it to [email protected] to be featured in an upcoming eNewsletter! Kim Gates will be attending the National Education Association Conference in Washington D.C. Stop by booth #1550 to say hello and learn more about how we can help improve writing and grammar in your school! Our National Presenter, Kim Gates, is going to be at the National Association of Elementary School Principals Conference. If you’re attending, stop by our booth and enter to win a one-year free trial. Emil Carafa, NAESP Distinguished Principal of the Year, Visionary Principal of the Year, and Principal of Washington Elementary School, will be presenting “Write to the Top-Essential Tools for Assessment Success” on July 6 at 8:00 A.M. We look forward to seeing you there! Attending the International Literacy Association Conference at the Hynes Convention Center in Boston? If yes, so are we! Visit our booth and enter our raffle for the chance to win some exciting resources! Stop by our booth during the Georgia Association of Educational Leaders Conference. Ashley McGukin will be there to answer any questions you have about our writing and grammar program. Heading to fabulous Las Vegas for the Staff Development for Educators Conference? If so, we have some exciting raffles planned. Stop by booth #1228 at the Venetian to enter and learn more about our writing and grammar program. Awareness Ambassador Mitch Bonder will be at the Center for Educational Innovation Conference at the Westchester Marriot.